On April 2017, Utterback along with Bryan Joffe, Project Director in AASA's Children's Programs Department, were featured on an Education Talk Radio segment to discuss equity in public education. Equity is a key issue for Utterback and his district. Learn more and listen to the segment. AASA's Executive Director, Dan Domenech, writes a blog on a regular basis on a variety of issues related to school system leaders and public education. Read his blog posts related to equity. In observance of the 64th anniversary of Brown v Board of Education, the landmark Supreme Court ruling that struck down segregation in public schools, Dan Domenech wrote a blog post on the importance and impact of a quality public education for students and their families and communities. Read the blog post, "Brown v. Board and a New Generation." AASA’s Children’s Programs Department is centered on work that drives systems change and increases educational equity. The department is committed to equity in educational opportunities and outcomes, reducing racial disparities, and aiding and assisting those children most in-need. The Equity Series on the department's blog, The Total Child exemplifies this work. Read the series. In August 2018, the fourth cohort of the AASA-Howard University Urban Superintendents Academy was launched on August 24th. Sharon Adams-Taylor moderated "Critical Issues Facing Urban Superintendents," a deep discussion of the challenges facing urban education leaders today from the perspective of three key constituencies - superintendents, teachers and board members. View the session on C-Span. In June 2018, the Education Writers Association held a conference, "Room for All? Diversity in Education and the Media," which focused on a number of critical themes, including equity and newsroom diversity. One of the panels, “The State of Educational Equity (and Inequity) in Schools,” was moderated by Steve Drummond, a national education reporter with NPR. It featured Howard Fuller, professor of education, Marquette Univerity; Catherine Lhamon, chairwoman, U.S. Commission on Civil Rights; and, Pedro Noguera, professor of education, UCLA. Videos featuring superintendents and other education leaders from across the United States are available on AASA's YouTube Channel. The leaders were participants at the AASA/CDF "Superintendent Summit on Equity and Justice: Access, Inclusiveness and Opportunity." In these videos, they answer the following question: "What does equity mean to you?" AASA and the Children's Defense Fund (CDF) co-hosted the Superintendent Summit on School Discipline in October 2016. Thirty-two superintendents convened for a two-day action oriented work group focused on the successes and challenges of implementing school discipline reforms. Videos of Superintendents from that Summit are featured on the following page and can be found on AASA's YouTube Channel. Learn More. Catherine Lhamon, chair of the U.S. Commission of Civil Rights, shared insight on efforts to move our nation to true educational equity, during her keynote address at the 2018 Dr. Effie H. Jones Memorial Luncheon. She discusses the need to champion equity in educational leadership. Watch the video. 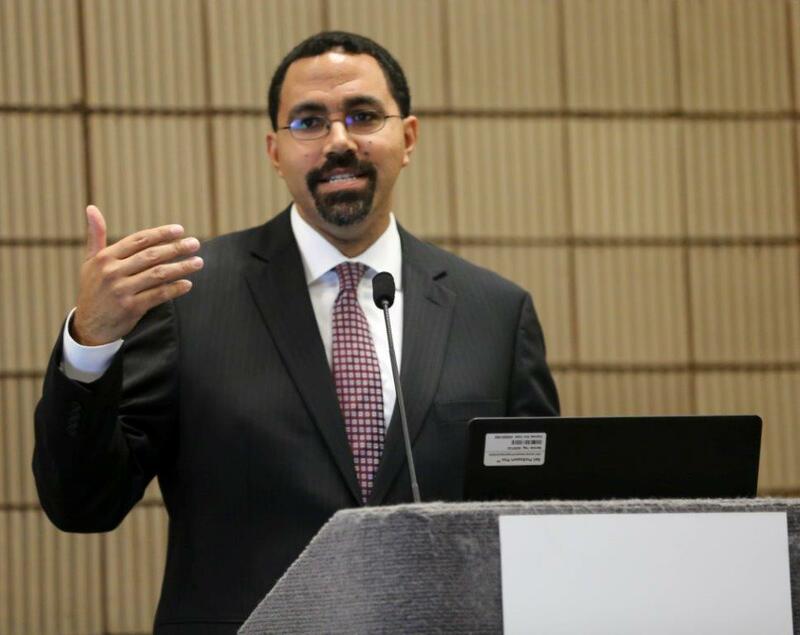 John King Jr., former U.S. Secretary of Education and current President and CEO of The Education Trust received the 2017 Dr. Effie H. Jones Humanitarian Award during the 2017 National Conference on Education. During the Dr. Effie H. Jones Memorial Luncheon, he discussed two roles for superintendents over the next few years: 1) fight for public education and 2) ask the hard questions. Learn more. He also discussed education issues in a video interview. Watch the video. 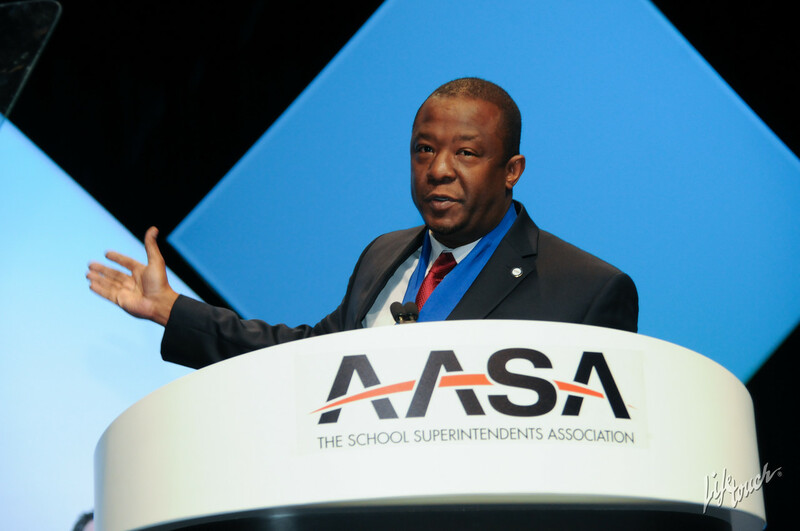 Thomas Tucker, the AASA 2016 National Superintendent of the Year and superintendent of Ohio's Princeton City Schools, provided keynote remarks at the State Superintendent of the Year Forum in November 2016. Watch the video.